Twice in the past two weeks, I found myself disinvited from television shows when I objected to appearing with representatives of radical Islam or the far-left. In both cases, once each with CNN and MSNBC, I agreed to precede or follow these persons, but I refused to debate them, resulting in my exclusion. The lesser reason is personal: Appearing with Islamist motormouths and leftist attack-dogs is unpleasant. It often means refuting ad hominem calumnies and having to strike back. Besides the indignity involved, such vituperation can have unfortunate consequences. 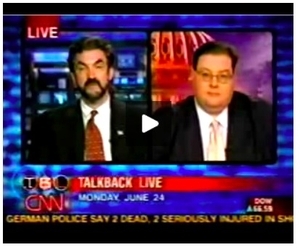 For example, my 2002 television debate with a far-leftist ended up distorted, at my expense, by an admirer of his in the pages of Newsweek magazine; fortunately, a full transcript of the show is available. The "one person" mentioned here. The more important reason for selective debate concerns extremism. For example, I have argued that television programmers should "close their doors" to one person because his fringe views preclude a constructive discussion (he lauded Chinese mass-murderer Mao Tse-tung for achievements that "can hardly be overstated"). After advocating this course of action, how can I then be party to this person's appearing on television? Television offers a unique medium for getting one's ideas out to large numbers of people, especially when presented in a lively debate format, so I regret not appearing on screen. I find myself in a dilemma, wishing to accept television invitations but sometimes unable to do so. This dilemma results from the flawed reasoning of television executives in democracies. My conversations with insiders reveal that they include extremists for three main reasons. First, because good viewer ratings are generated by impassioned, articulate, and known panelists with sharply clashing viewpoints. With this, I have no problem. Third – and quite contradictorily – when pressed about the appropriateness of broadcasting the enemy's view, producers assert they are doing a public service by exposing these. Is freedom of speech, they ask, not premised on the open marketplace of ideas? And does that not imply having faith that an informed citizenry will discern the sensible from the wrong-headed? Yes and no. Freedom of speech means speaking one's mind, without fear of going to jail. It does not imply the privilege to address a television audience. Further, while unfettered free political speech is critical to debate taxation rates, school curricula, abortion, or for whom to vote, it makes no sense to promulgate the enemy viewpoint when a country is at war. Even though the great majority of viewers, listeners, and readers will be repulsed by the views of extremists, no less surely will a small minority find these attractive and compelling. We saw, for example, how the prominent exposition of Osama bin Laden's ideas in 2001 inspired suicide bombers, including several of the London terrorists. If bin Laden and his ilk can convince just a tenth of 1% of Israeli Arabs, one thousand new suicide bombers have been formed. The distinguished historian Conor Cruise O'Brien thinks not. 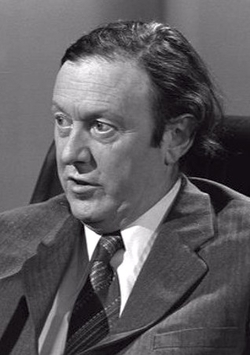 When he served as the Irish minister of posts and telecommunications in 1976, he imposed a ban on interviews with Irish Republican Army terrorists and Sinn Fein members, arguing that it was necessary to prevent them from spreading their message. For the same reason, the Russian foreign ministry expressed its "strong indignation" after America's ABC television last week interviewed Chechen terrorist leader Shamil Basayev. The ideal solution lies not in creating censors' bureaus to pass judgment on television content but for media executives to accept their responsibilities in time of war. On their own initiative, they should exclude the enemy's apologists and advocates. Lively debate does not require such people; patriots with sharply differing views can also make sparks fly.